The Celtic Myths – A guide to the Ancient Gods and Legends. This beautifully produced small hardback is an absolute treasure trove! 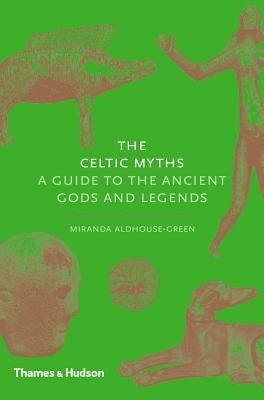 Miranda Aldhouse-Green, a Professor of Archaeology at Cardiff University, skilfully weaves together evidence from manuscripts, artefacts and Iron-Age archaeology to explore the world of the ancient Celts and their mythology. Beginning with a discussion of how the myths were transmitted and by whom, she then moves on to vividly recount a very comprehensive selection of Irish and Welsh myths, taking in well-known figures such as King Arthur and the giant Cuchulainn, as well as a host of more obscure tales. She examines their key themes and motifs, before finishing with a look at how these myths survived the advent of Christianity, and the influence of monastic chroniclers on the tales, which were often adapted and re-spun for a Christian audience.